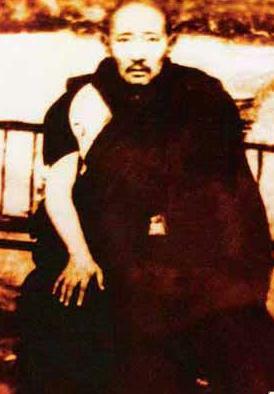 Khenpo Nüden Khyentsé Lodrö (Tib. ནུས་ལྡན་མཁྱེན་བརྩེའི་བློ་གྲོས་, Wyl. nus ldan mkhyen brtse'i blo gros) (b. 19th cent.-d. 20th cent.) — a famous khenpo from Katok Monastery, who is well known for his commentary on Mipham Rinpoche's Khenjuk. His main teachers were Khenpo Ngakchung and Katok Situ Rinpoche, but he also studied with Jamyang Khyentse Chökyi Lodrö, Khenpo Kunpal, Khenpo Lekshé Jorden and others. This page was last edited on 21 April 2018, at 19:37.